Which is the bigger myth – public cloud cost savings or Lewis Carroll’s Jabberwock? There is a lot of hype around how much money you can save with public cloud. Public cloud can be cheaper than on-premise IT or private cloud, especially for selected services and SMBs. However for large enterprises, while there are plenty of reasons to use public cloud, cost reduction is not always one of them. Public cloud certainly has a low startup cost, but also a long ongoing cost. For all practical purposes, the ongoing cost is never-ending too. As long as you need it, you keep paying as much as you did on day one, without adding an asset to your books or depreciating your facilities investments. Public cloud also rarely (ever?) provides the management, security, governance, or lifecycle solutions that add cost to internal IT either – not because public cloud does not need them, but because it eats into cloud providers’ profit margins. Indeed, the myth of low cost cloud is built directly on the equally false myth that public cloud doesn’t need management or discipline. Better economies of scale are not assured either. Many large IT organizations have more and larger data centers than most, though perhaps not all, public cloud providers. Enterprise IT can be strikingly massive, with economies of scale that match or exceed even the largest public cloud providers. Public cloud does not always lead to a substantial reduction in staff costs either. Simply sourcing infrastructure or software as a service does not let you disband your IT department entirely. After all, your databases still need DBAs; your applications still need performance monitoring; your users still need a Help Desk; regardless of where the services or systems are running. This last issue was partly the basis for an early debunking of the ‘public cloud is cheaper’ myth in a McKinsey report titled ‘Clearing the Air on Cloud Computing’ (PDF) back in 2009. McKinsey found that IT labor cost savings with public cloud (IaaS in particular) are minimal, around 15% mainly in sysadmins. However, non-labor costs were actually much higher for public cloud. 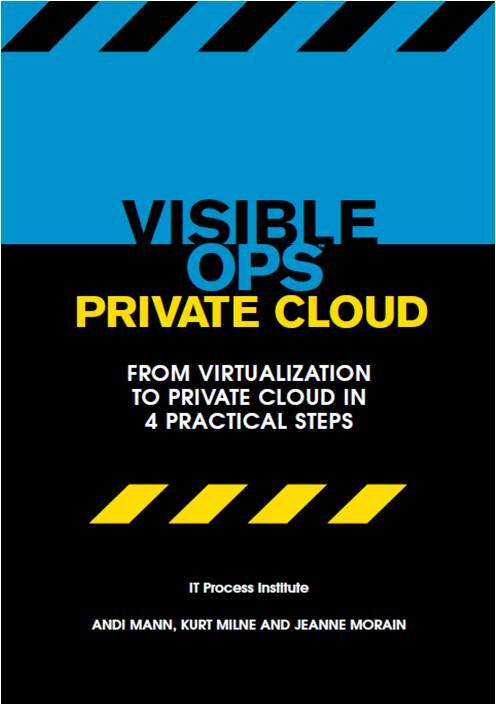 Overall, it showed a 144% higher cost of public cloud over internal IT, and concluded that, with the majority of cloud savings achievable in-house with virtualization, an investment in private infrastructure makes sense for larger organizations. For example, the larger organizations we interviewed are confident that they can offer their own public cloud-like services cheaper, better, and more securely than external service providers. As a result, many are working to create a self-service, low-touch model that can be used to spin up new computing resources. 3) Achieving the same levels of resilience with public cloud infrastructure would be prohibitively expensive for larger organizations. This analysis shows a $513,295 cumulative cost savings over three years for the private cloud purchase versus the public cloud option [$1,092,188]. The private cloud lease saved $489,874 versus the public cloud option over the same three years. Then there is James Staten of Forrester research, and a great report titled ‘The 3 Stages of Cloud Economics’. 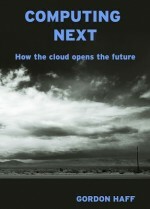 Unfortunately for many, the full report is subscriber-only, so I cannot extract it, but it is a great read (you can get a free taste over at James’ blog at Forrester.com on the stages of cloud economics). Suffice to say that the report starts out front and center with a whole section titled BUSTING THE MYTH ‘CLOUD COMPUTING ALWAYS SAVES YOU MONEY’ [sic]. Of course, a realistic cost analysis depends on too many organization-specific factors to draw firm conclusions for any but specific use cases. However, for most enterprises evaluating cloud (public or private), an overly tight focus on cost reduction is misplaced at best. Given all the experience and data at hand, cost reduction is at best a possible outcome from public cloud, and even then only for some workloads, and only for some organizations. But this isn’t a debate worth having because it’s the exploration of the use cases where it does save you money that bares the real fruit. And it’s through this experience that you can start shifting your thinking from cost savings to revenue opportunities. Clearly cost reduction is important when you can achieve it. Indeed, judicious use of cloud computing, public and private, for the right services, the right users, at the right time, certainly does deliver cost reductions. However, while cloud in general and public cloud in particular can save money, cost reduction is certainly not the only reason to use cloud, public or private; in my opinion, it is probably not even the best reason to use cloud. The potential that cloud computing creates to drive technology flexibility, business agility, quality of experience, and service continuity (even despite multiple high-profile public cloud outages) far exceed the returns to large enterprises of hardware cost reduction. The real benefit is found in business gains like greater competitive advantage, faster time to market, and higher customer retention. It is through these business factors – not mundane IT line items such as server purchase prices and administrator salaries – that cloud computing, both public and private, will drive the most significant and fundamental changes to the bottom line for most large enterprises. As always, it depends on specific requirements. My company (http://www.broolz.com) makes software that helps companies build their own private clouds using hardware they already have, distributing storage via private p2p. It is good to see someone cutting through some of the aura and hype of public cloud provision.